Is there hope for a localisation? While Nintendo may not have any concrete localisation plans to announce with regards to Japanese RPG Last Story, but the news it's shot to the top of the all-format charts in its home country can't do its chances of heading Westward any harm. In its first week on sale the game shifted 114,722 copies, according to figures from Media Create, beating PSP heavyweight release Valkyria Chronicles III: Unrecorded Chronicles from Sega into second place. It'll be interesting to see how the title performs in the coming weeks once the initial excitement has died down, but with a 38/40 rating from Famitsu it should do just fine. 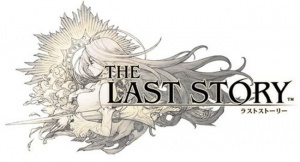 We'll have more on Western release plans for Last Story as we hear them. Im not very optomistic about it, Xenoblade, or the new one there talking about. So ill just be excited if it does happen. I thought they already said it's coming to Europe eventually. I sure hope it comes to America. This is a day one pick up for sure. Please Nintendo, throw us a RPG bone here. What most intrigues me here is the Battle System. Last I heard this game is on the radar to come out here in the states, and also in Europe, so I hope that would this year. As other users have said, a western release has been confirmed. Hopefully this and Xenoblade will both be out this year. This just Europe or US as well? @mariofanatic128 Do you have link for that? Battle system is in real time with some command options. Multiplayer is for 6 players with 2 modes, versus and co-op . Every time you play multiplayer u get an item. Weapon s upgrades require gold but others need one special material to upgrade, those weapons have special skills like % of critical chance or elemental damage hit. Maybe we will see this game next year, i think just like DQ 9. The last history is one of the best jrpg on wii till now. 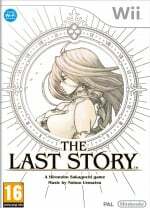 The Last Story is obviously gonna be ported, at least to the US. It's production values are simply too high and it's developer is prestigious and it is also backed by Nintendo. Also it is selling well. Not sure if it has been officially confirmed but if not yet you can't jump to conclusions as it just came out in Japan. I'm not even really into RPGs, but I would definitely purchase this and Xenoblade (especially Xenoblade... the music!) if they arrived here. If this isn't released here in the US and elsewhere, Nintendo of America and Nintendo of Europe may as well issue a joint press statement saying: "We completely and unreservedly concede the console RPG market to Sony, Microsoft and anyone else who wants to make a video game system, just as we have since the Nintendo 64 era". Which would be (and has been) a shame, considering RPGs may not exist in this day and age without the slew of legendary ones released over the years on the NES and Super NES! Nintendo messed up by showcasing Monado, er, Xenoblade to us last E3, so to be honest, I think it would be pretty shady if that one didn't come. However for Last Story, I just don't know. I can't see a game this good getting passed up on a westward release, but we'll see. If it shows up at this years E3, then I think it's golden to make it over.Not holding my breath though. This looks interesting. Hopefully it'll come to US. All signs are pointing towards a release overseas: great sales, great reception, and a massive following globally already. Nintendo's being backed in a position to the point where, if they say no, they will be seen as purely heartless to their fanbase (including me). Perhaps they're just apprehensive due to the epic fail that was Arc Rise Fantasia (though it had none of those three things that I listed); perhaps, rather, they're just being Nintendo, and have actually been working on a translated port for months and are just being cryptic - thereby making us want the game even more...? The more talk about a game gives it more hype, the more hype gets it known; the more known, the more wanted. I've wanted it for over a year damn you! I still think if Nintendo localises this game, it's guaranteed to lose money on it. I'd like to be wrong, but I don't think I am. @James What if they get Jedward to promote it? Keeping my eyes peeled then. lol. Possibly, if they go for the full package of new voice acting and whatnot, but I don't see why games of this genre don't simply receive updated menus and subtitles, which would be surely be cheaper. I typically hate the western voice actor substitutions anyhow. I agree with wariowoods. Half the time I end up playing RPGs and skipping through the voiced parts anyway. It's just quicker to read the subtitles. Plus if they run an advertising campaign mentioning the connection to Final Fantasy I'm sure that'll draw a lot of the FF fanboys and girls into buying it. Id prefer horrible English voice actors with an option to do Japanese with subs. The point is that it would be substantially cheaper to localize via subtitles, and therefore wouldn't need to sell to any "vast majority," who were never going to pick up a game of this type anyway. But it really is not that much cheaper to localize by subtitles, unless they hire A-list hollywood talent to voice in english. They could even try to pay voice actors less then they should get, like with GTA 4. And it is still off putting, the game would still need to sell a vast amount whether it is dubbed or not and no dub and having to listen to Japanese would put off many people. This game looks so good, I hope it will get a worldwide release soon! I think the point was to do away with the voice overs entirely and just stick with subtitles. It'd be cheap to do and give it an old school feel. I so hope this game comes here I would get it on day 1.